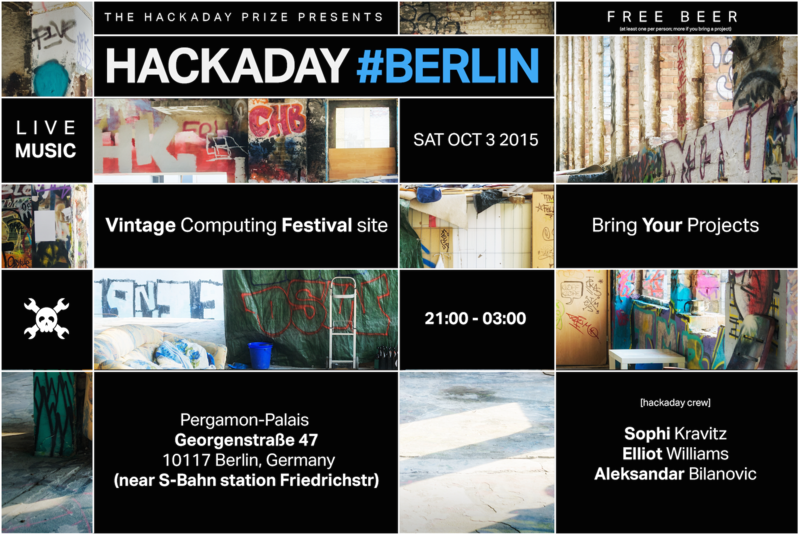 Join the Hackaday Crew in Berlin this Saturday for a meetup! This weekend in Berlin, Germany, there are at least two events happening and [Sophi], [Elliot] and [Bilke] are going to check them all out. The Vintage Computing Festival is one of the big events, and it looks like there will be lots of geeky magic to play with. This weekend is also Maker Faire Berlin where we’re looking forward to hanging out with our friends from Hackaday.io and we’re excited about meeting new people and projects. Hackaday often throws a party after Maker Faire to celebrate all of our community projects and we’re doing it again Saturday night. We are co-hosting a party with the Vintage Computing Festival, on the same site as the festival, and all are welcome. We’ll have drinks and snacks, and the VCF has live music planned for the evening. This event is free, but we’d like you to RSVP so we know how many refreshments are needed. Your first drink is on us, and naturally, if you bring a project,your second one is on us too! Please help spread the word by telling your friends, sharing on social media, and mobilizing all the people at your Hackerspace. See you on Saturday! When my Swiss cousin-in-law sent us her wedding invitation, I didn’t immediately think I’d get to see Hackaday.io user [antti.lukats‘] tiny FPGA projects as part of the deal. I’m really glad that I came to Switzerland for the wedding, and also got to be a part of an awesome meetup in Zurich’s Fablab. [Antti], who was at the meetup, is pictured above holding a small tube full of FPGAs, he’s a Hackaday Prize Best Product finalist with FPGA project DIPSY. As is becoming the norm for Hackaday meetups, we ask people to bring projects. We then count all the people who want to present something and squeeze all the presentations into just about 90 minutes. Before and after the lightening talks, there’s always plenty of time to walk around and see individual projects, meet people and of course eat and drink. There were 3 walking robots and 2 rolling robots presented. [Arian’s] Roomba had the popular ESP8266 hacked into it. [Simon] brought a RaspberryPi powered rolling robot. [Thomas] brought a walking robot which walked quite well. The last walking robot of the night was shown just on video. [Radomir Dopieralski] brought his Hackaday Prize entry, the very cool and easy to use Tote robot. The Tote aims to fix the problem the world has without enough walking robots by creating an easy platform to build walking robots upon. It seemed at this meetup, that [Radomir’s] dream of many walking robots had been found. [Oscarv] brought the insanely cool PiDP. The PiDP-8/I is another Hackaday Prize Best Product finalist, it’s a replica of the first minicomputer. [Oscar’s] version uses a Raspberry Pi to recreate all the operations. [Neil’s] SoftVGA is a software only VGA generator. I expect to see many more cool projects like these two next week at the Vintage Computing Festival in Berlin. I’ll be there with [Elliot] and [Bilke] and we’re having a Meetup with the VCF folks Oct 3rd. [tamberg] presented a beautifully fabricated clear cube with switches on the inside, a metal ball rolls around and activates the switches. The Larson scanner next to it was designed by [stefan-xp]. [Yvonne] discussed her recent light painting “Topology of Light” and [Isaac] was sick of playing 4 in a row alone, so he built a robot to play the game with! A popular hacker project is automatic watering of indoor or outdoor gardens. [Effi] nailed it with a brilliant presentation about moisture sensors while showing us how well her plants are doing. There were far too many projects to list everything here, but [Thibault‘s] Bit Shift project really caught my eye. This project has several panels daisy chained together with layers of blue thermochromatic pigment on top of white primer.Each panel is a PCB, a heat pad controlled in a timed heating sequence powered by ATtinys. After each panel heats up, there is a 20 second delay before the next panel heats up. When the blue thermochromatic pigment reaches 37°c it turns transparent, and the white undercoating shows through. As the square cools down, the transparent pigment turns blue again. You can catch the video here. I hope to see some of you in Berlin, and if you missed it, we just put out the call for proposals for Hackaday’s first hardware conference. Hackaday is headed to Boston this week. Meet up with us on Thursday at 6pm to show off your projects and meet other hackers in the area. Admission is free, just tell us you’re coming. We’re hosting a Hackaday meetup at Artisan’s Asylum hackerspace. That name should sound familiar. This is the group that decided to throw down the robot gauntlet with Japan. We can’t wait to see what that’s all about first hand! While in town we’ll also be stopping by the MIT Media Lab, a legendary den of cutting edge research that springs forth wave after wave of awesome inspiration. If you know of any projects going on there that we just shouldn’t miss please let us know below. We’re also looking for suggestions of other places we should check out while in town. Join me on July 18th for Hackaday Prize Worldwide: New Delhi — a KiCad workshop, hardware show & tell, and a chance for you to meet other hackers and makers in the area. Hacker spaces are on the rise in India, a development that really excites me. When I helped co-found India’s first, community Hacker Space – Maker’s Asylum – in Mumbai, things were pretty lonely. And this was less than 2 years back in 2013 November. Last month, we opened New Delhi’s latest, and the Maker’s Asylum’s second space. There’s already a couple of other hacker spaces in New Delhi, and you can now find hacker spaces in Mumbai, New Delhi, Pune, Bangalore, Chennai, Cochin, Meerut, Kolkatta, Surat, Ahmedabad, Dharamsala, Hyderabad, Ramachandrapuram – and the list continues to grow. 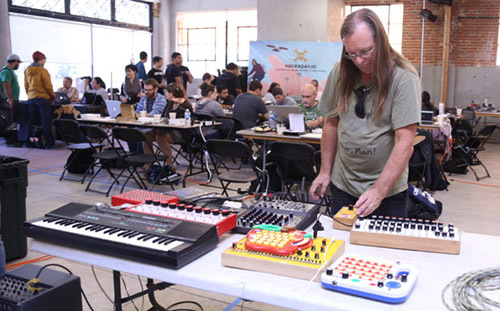 To help build the community, and to bring the opportunity presented by the Hackaday Prize to local hackers, I hosted Hackaday Prize Worldwide events at the Maker’s Asylum in Mumbai and at Workbench Projects in Bangalore. This month, on July 18th, I’ll do another Hackaday Prize Worldwide event at the Maker’s Asylum in New Delhi. I love talking about, and supporting, Open Source Hardware at every opportunity. So for this event, I’ll be doing a fairly long and detailed workshop on KiCad – the awesome, open source EDA tool – lasting several hours. At the end of the day long workshop, I hope to get fellow hackers to complete a design that can be sent off for PCB fabrication. After a short break in the evening, we will have a Show-n-Tell, getting the assembled folks to show off the projects they are working on. There are a number of them who have submitted entires for the Hackaday Prize, so it will be interesting to hear them talk about their experience and share tips and ideas. We can hold only a limited number of folks at the event, and slots are quickly filling up. So, if you’re in New Delhi or somewhere close by, do RSVP at this link quickly. Looking forward to an interesting event. Check out some pictures from the opening party of the New Delhi Maker’s Asylum after the break. Whew, that was a perfect day. Seriously. A few weeks back, on Saturday June 13th PCH International opened their doors for the Hackaday Zero to Product workshop. I don’t live in California, so having two huge glass garage doors making up one entire wall of your office is odd to me. But on a perfect day like this one it was something miraculous. We opened the Workshop at 9:30am and those lucky enough to get a free ticket before the event was full streamed in. The topic at hand was a transfer of knowledge on professional level PCB design and once again [Matt Berggren] didn’t disappoint. 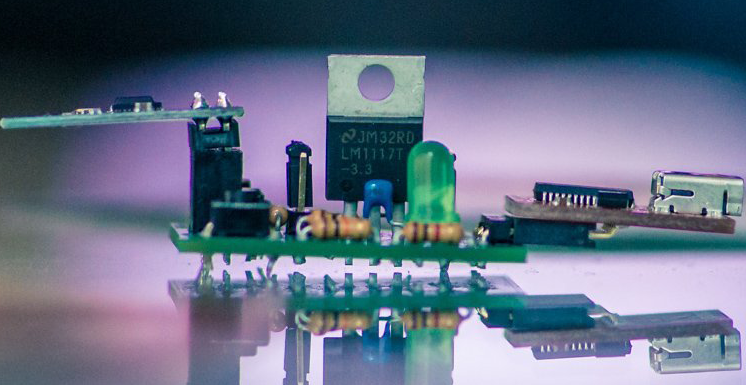 A former Altium veteran, experienced hardware start-up-er-er, and all around circuit design guru, [Matt] has a natural and satisfying way of working with the many questions that arise while also following his epic talk framework. There must be around a hundred slides in his presentation that covers the bases from component selection, to signal routing, to material selection (substrate, copper density, solder mask material) and a lot more. The day ran in segments…. sign-in followed by coffee and bakery goods and a talk on Open Hardware from [Ryan Vinyard]. He is the Engineering Lead at Highway1, the well-known hardware startup accelerator which provided a space for the event in the PCH Innovation Hub building. From there we dropped into the first segment of Zero to Product and started riffing on all things PCB design. A break for salad and pizza three hours later lead into the final two sessions that are broken up by a social pause. 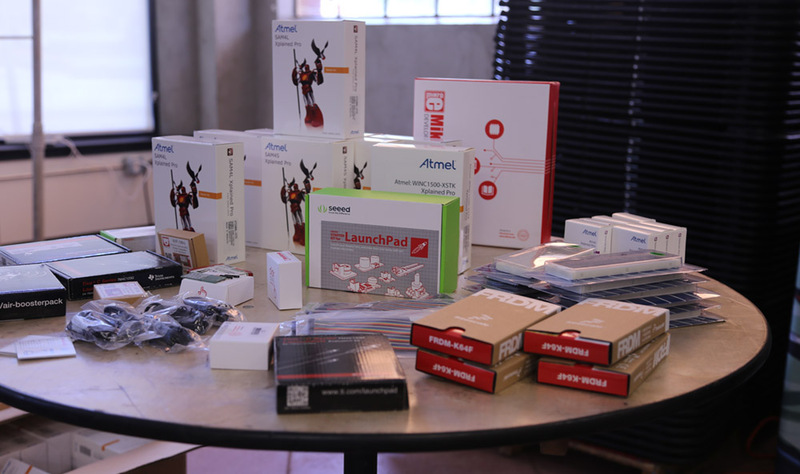 Thanks to our Hackaday Prize Sponsors (Atmel, Freescale, Microchip, Mouser, and Texas Instruments) we had plenty of time to discuss the builds each person is planning and to connect them with sponsor-supplied dev boards to help with the prototyping. We have an album up so that you can check out all the pictures from this event. We’ve held the Zero to Product workshop in Los Angeles, and Shenzhen as well in the recent weeks. 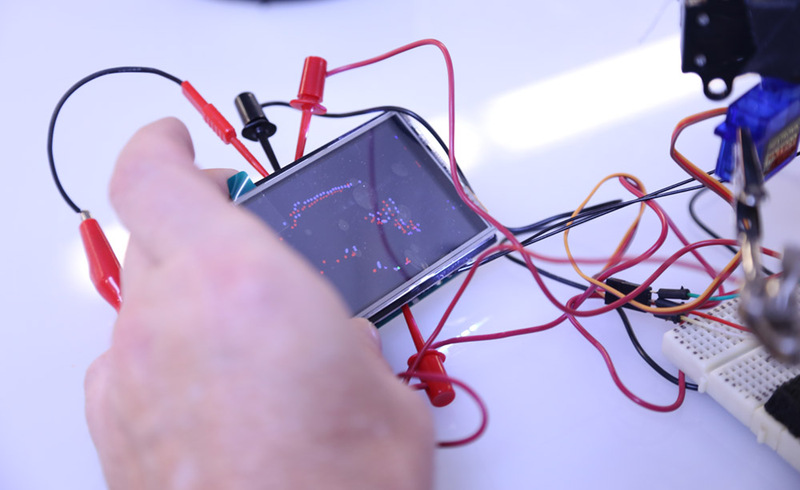 Keep watching Hackaday to learn of future opportunities to take part in events in your area! MakerCamp brings 30 talented Makers, Hackers, Designers, and Engineers together for a few days to build a makerspace inside of a shipping container. We won’t be part of that build team (registration is open until 6/1 if you want to be). We will be supporting the event as part of the workshops that help celebrate the completion of the space. A mobile hackerspace full of interesting tools is one thing. But the sharing of knowledge, experience, and skill is what truly makes a hackerspace work. Our Zero to Product workshop created by [Matt Berggren] has been generating a ton of buzz and will be offered at Shenzhen MakerCamp. The workshop runs from 10am to 6pm on Friday, June 19th on the grounds of Maker Faire: Shenzhen. The event covers PCB design and at the end you will have laid out a development board for use with the ESP8266 WiFi module. We were totally sold out for the workshop in LA a few weeks ago this is another chance to join in. If Shenzhen is a bit too far for you to travel, we are also planning the next installment in San Francisco on June 13th. If you just want to hang out, so do we! On the night of Thursday, June 18th we’ll be rolling into an area bar for a tasty beverage and a night of interesting conversation. As always, we want to see the hardware you’ve been working on. We do recommend bringing things that fit easily in your pocket or backpack since we’re meeting up to spend some time with other Hackaday community members in the area. We don’t have the location nailed down for this one. Check this post again as we’ll be adding it here. And if you have a bar to suggest to us please leave a comment below. The picture above is from just a few weeks ago. We had a huge turnout for the BAMF meetup. There was a ton of hardware on hand which makes for really easy conversation as you meet other hackers for the first time. [Mike] is giving a talk on Friday, June 19th about the power of Open Design to move education forward. [Sophi] will be presenting her talk on Sunday, June 21st about making stuff that matters and working on research equipment used to investigate the world around us such as solar, medicine and disease. Come to the Faire to hear our talks, but make sure you swing by the Hackaday booth as well. We’ll be bringing some of our most favorite projects to exhibit but we can’t resist the opportunity to do something interactive. Stop by and build an oscillator, wire up a sequencer, and create your own rudimentary music based on [Elliot Williams’] series Logic Noise. Tag Along with Hacker Camp Shenzhen? One of the adventures we’ve always wanted to take part in is Hacker Camp Shenzhen which is run by Hackaday alumnus and Hackaday Prize Judge [Ian Lesnet]. The week-long camp leverages [Ian’s] knowledge of the area, manufacturers, markets, and people to provide tours and workshops for those interested in manufacturing. It just so happens that HackerCamp lines up the same week as all of the Hackaday events. We can’t take part in the entire thing, but are hoping that we have a free day to meet up (and possibly tag along) with the HackerCamp crew.